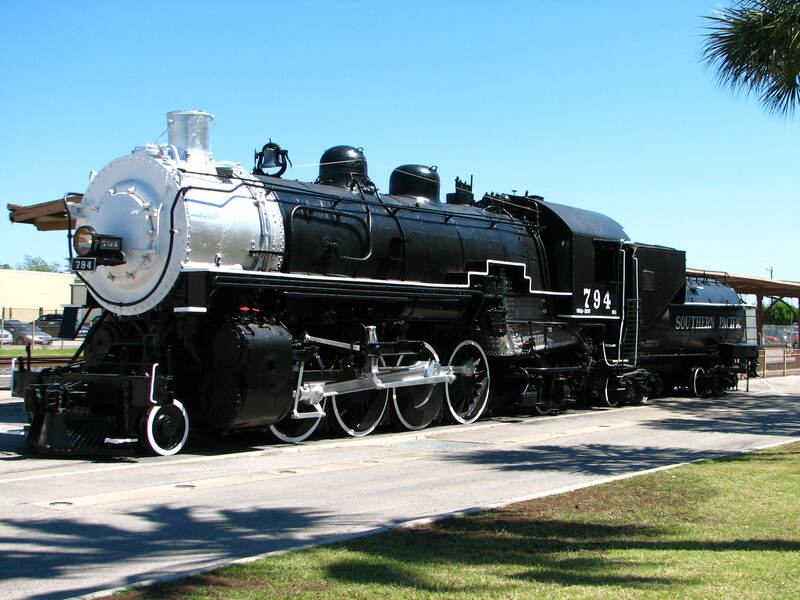 Southern Pacific locomotive #794 was 1 of 20 (numbered 775-794) built by the American Locomotive Company’s Brooks Locomotive Works of Dunkirk, NY in 1916, for the Texas & New Orleans Railroad. Our research indicates that she was built as a kit and the parts were shipped to Texas and the locomotive was assembled in Houston. 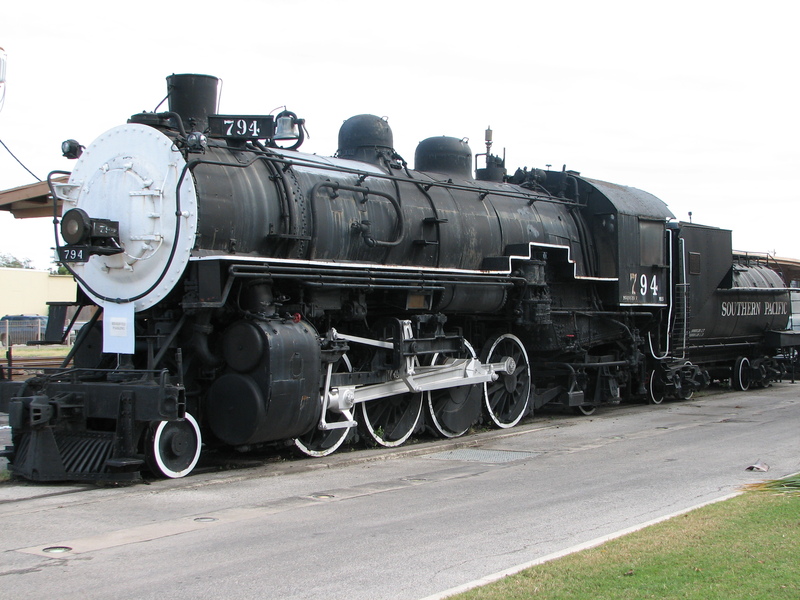 794 was used for freight and passenger service in and around San Antonio were she was based. She routinely made trips to Houston, McAllen, Laredo and all parts in between. She was retired by the Southern Pacific Railroad after 40 years of freight service in 1956. 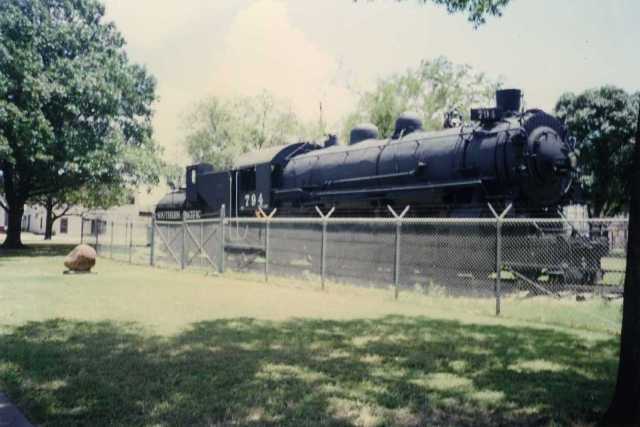 On February 22, 1957, the Southern Pacific Lines presented SP 794 to the City of San Antonio, and the Chamber of Commerce in Maverick park. For Forty-two years, (1957-1999) she sat in Maverick park getting little attention from her community. A couple of times, getting a fresh coat of paint, by some caring folks. In 1999, #794 was taken from behind the fence at Maverick Park, given another fresh coat of paint, and moved to some familiar grounds, the newly renovated Sunset Station Depot. The locomotive was fitted with a natural gas-fired steam boiler system to simulate that she was operating and even blowing her whistle every few minutes. A special effects lights and sounds system was also installed to tell about her service to San Antonio and the surrounding communities. Nevertheless, with anything that is not routinely maintained, the special effects equipment was turned off and the weather had taken its toll on the locomotive. 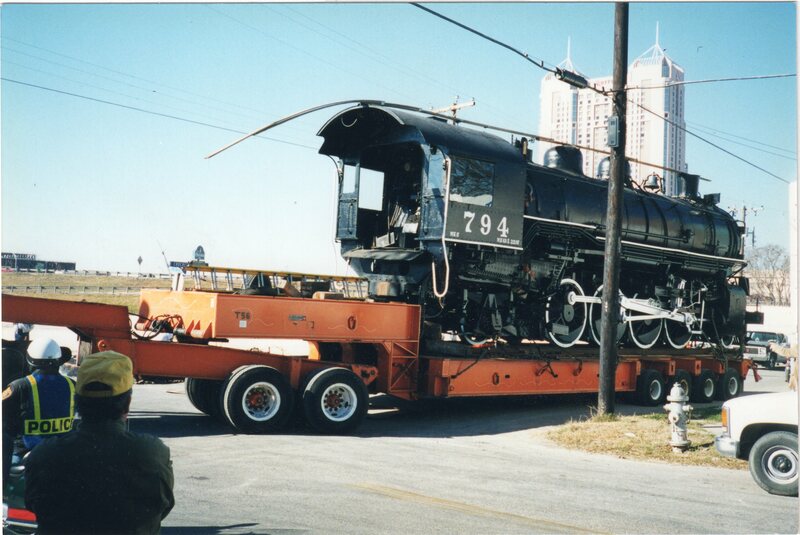 On September 19, 2008, a new phase began in the life of San Antonio's Locomotive. The "Friends of the SP 794" began working on her to clean her up and give her a new paint job. A paint scheme of which she is very familiar with, her historic Texas & New Orleans colors.